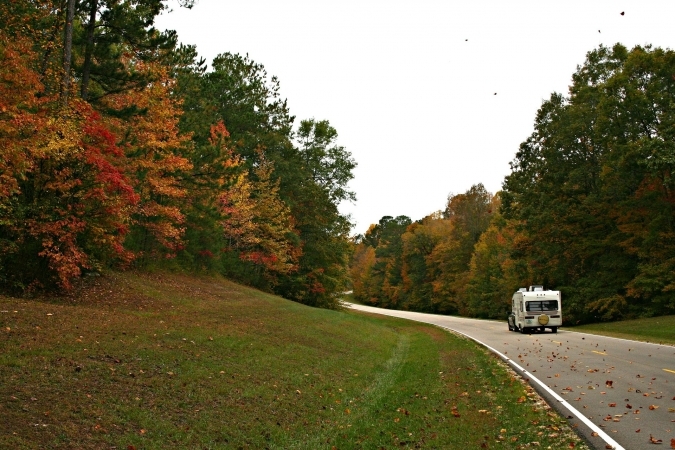 You know that it’s time to come up with suitable fall RV storage ideas now that autumn is upon us. After you’ve used your reliable motorhome for a number of times during the summer, you’ll have to put it away for a few months. If you don’t want your vehicle to suffer considerable damage this season, we at Veteran Car Donations advise you to take extra measures in making sure that your RV gets stored properly. For some people who live in the warmer climates, storing their RV may not really be a big issue. However, for those who live in areas with harsh climate conditions, looking for a place to store their recreational vehicle becomes a necessity. Let’s look at some of the storage options for your motorhome so that you can have a better idea on how to protect your investment. Once the summer season is over, the season for RVs comes away with it as well. 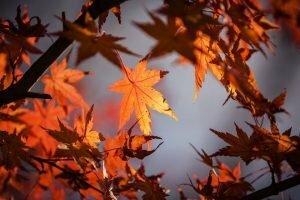 In some parts of the country, fall can bring in occasional freezing temperatures, which could damage your motorhome investment. And let’s face it: No one really likes camping and living in a motorhome during the fall and winter seasons, right? Having a plan on where to keep your motorhome until spring comes is a vital part of making the best out of your expensive investment. This way, you can rest easy knowing it’s stashed somewhere safe and that you’ll still be able to use it on your next summer adventure. Most people prefer this storage option since it’s convenient as much as it is cost-free. However, storing your RV in your driveway can be bothersome for your neighbors, Moreover, the homeowners’ association in your area may decide against parking your RV outside your home. This type of storage is ideal if you’re planning on storing your RV for a long time (which you will have to do!). This is especially preferable if you own large RVs where you would need a higher ceiling to fit it in. The only downside to this option is that your vehicle could be exposed to external elements since it’s still parked outside with only a roof or an awning above it. Find a storage unit you can lease. Renting a storage unit is the best way of storing your motorhome in time for the colder season because this allows your RV to be protected from harsh weather conditions and prevents it from being an eyesore to your neighbors. Although this will cost you money, you can be confident that your RV will be safe and protected from any form of damage. As much as we’d like to maintain our RVs and keep them in perfect condition, some may be too old or too damaged that it doesn’t make sense anymore to go through all the trouble of storing them. If you have a decrepit RV or any other vehicle that’s rotting away in your backyard, consider donating it to us at Veteran Car Donations for the benefit of our poor, jobless, disabled, and homeless veterans today. Your clunker doesn’t have to go to waste; it can serve a better purpose if you turn it into a powerful contribution that can transform lives. We will auction off your donated vehicle and use the proceeds to provide our struggling veterans with physical and mental health care, housing, job training, scholarships, transitioning assistance, and many other benefits. To know more about Veteran Car Donations, our donation process, the tax deductions and other rewards that our donors get, and other related matters, check out our About Us and FAQs pages. If you have questions, you can call our toll-free 24/7 hotline 877-594-5822 or send us a message online. If you want to kick-start your donation today, call us at 877-594-5822 now!